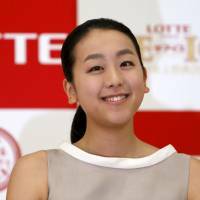 Mao Asada’s decision to come back to competitive skating is certainly good news. That big sound you heard recently wasn’t a sonic boom, but rather the executives at the Japan Skating Federation exhaling. John F. Kennedy popularized the phrase “a rising tide lifts all boats” and this is a case in point. Mao’s return means more media attention, more revenue for sponsors, more people following skating, and more kids getting involved in the sport. ■ Mao’s recognizability in Japan is 99.4 percent. Think about that for a minute. It is absolutely staggering. In a nation of 126 million people, almost everybody knows who she is. She is more recognizable than the prime minister. ■ Mao was voted the most attractive of all female and male athletes in the country. No surprise there either. In addition to her great athleticism, Mao’s elegance has always resonated with the public. Mao’s targeted comeback means she will be slowly re-engaging. It seems certain she will skip the Grand Prix season (which is understandable but disappointing nonetheless) and enter a sectional competition or smaller international event before the Japan nationals. If we have to take a smaller dose of Mao at the outset, that is certainly better than the alternative of no Mao at all. While Mao’s return was almost universally greeted with joy by fans and the media, the same cannot not be said for her competitors. The most humorous response I saw in the wake of Mao’s announcement was that of rising star Wakaba Higuchi. The precocious 14-year-old, who finished third at the senior nationals back in December, called her father after learning of Mao’s plan. “This is going to be tough,” Higuchi told her father. What is going to be really interesting is to see if the triple axel will still be part of Mao’s repetoire. If she can land it, that’s great. But if she can’t, she should shelve it and come up with a new combination. Mao appeared to be downplaying expectations, saying that she was not thinking about the 2018 Pyeongchang Olympics. That may be her public posture, but you better believe that down deep she is still burned about what happened in Vancouver and Sochi. These next few years are going to be very compelling. Plaudits continue: Superstar Kei Nishikori is off to a good start at the French Open, and with the benefit of a fortuitous draw has a good chance at making the final. Nishikori took apart France’s Paul-Henri Mathieu 6-3, 7-5, 6-1 in their first-round match on Sunday and looks primed to make a deep run at the year’s second Grand Slam event. The praise for the Shimane native continues to roll in. One example came from two-time French Open champion Jim Courier on Sunday’s ESPN telecast of Nishikori’s victory. 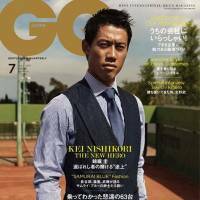 “I expect Kei Nishikori to challenge for the No. 1 ranking in the world in the next 3-4 years,” the American said. Courier, who called Nishikori his “second favorite” (after Novak Djokovic) to win the title at Roland Garros, raved about Nishikori’s skill and determination throughout the match. Something else unusual also emerged during the broadcast. 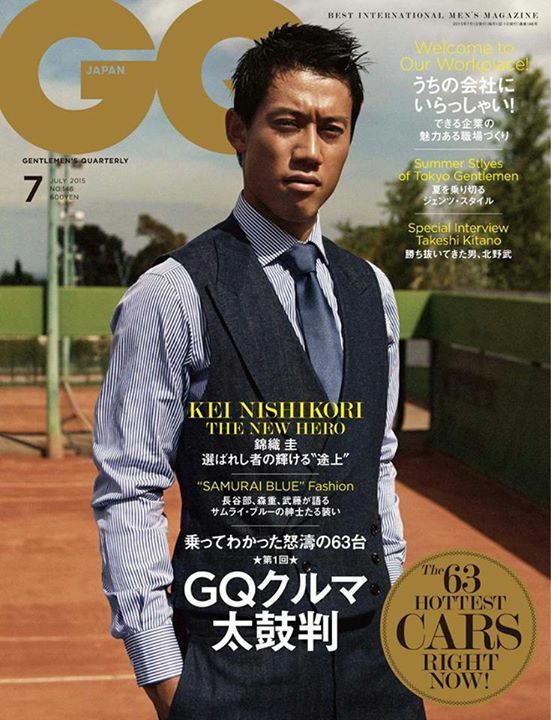 The announcers revealed that Nishikori, who is on the cover the July issue of GQ magazine in Japan, said he was eating “more of an American diet” these days. They attributed that in part to his improved strength and durability, which have been questioned in the past. Here we go again: Last week’s news that Tokyo’s new Olympic Stadium might initially be constructed without a roof was just the latest salvo in an attempt to cut back on promises made to the IOC and international sporting community for the 2020 Tokyo Games. 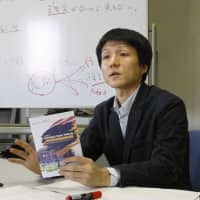 Sports Minister Hakubun Shimomura is proposing building the stadium without the retractable roof that was planned to control spiraling costs. Remember all the talk during the bidding process about how much money ($4.5 billion) had been put aside for the games? This sounds like a classic bait and switch to me. Tell people you are going to give them one thing. Change it to something much different. Then tell them “tough” if they don’t like it. 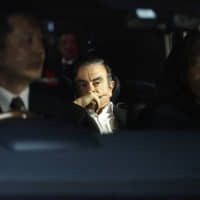 Now the basketball competition is going to be held in Saitama, taekwondo likely in Chiba, and who knows what other changes are surely coming. If they want to make it a regional event, that’s fine. But don’t keep deviating from the original plan and then act like it’s no big deal. I had to laugh when I heard the talk about a delayed installation for the roof. Back in 1976, Montreal residents were told the same thing before their city hosted the Summer Games — they would get the roof soon after. The roof for the 1976 Olympic Stadium was finally installed in 1987. This kind of insular thinking continues to embarrass Japan abroad. 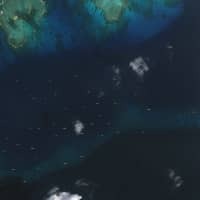 I keep wondering when it will end.